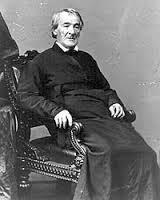 Now, therefore, be it known that I, Andrew Johnson, President of the United States, do hereby suggest that the religious services recommended as aforesaid should be postponed until Thursday, the 1st day of June next. Done at the city of Washington, this 29th day of April, A. D. 1865, and of the Independence of the United States of America the eighty-ninth. IN THE FIELD, RALEIGH, NORTH CAROLINA, April 25, 1865. Lieutenant-General U. S. GRANT, present. GENERAL: I had the honor to receive your letter of April 21st, with inclosures, yesterday, and was well pleased that you came along, as you must have observed that I held the military control so as to adapt it to any phase the case might assume. It is but just I should record the fact that I made my terms with General Johnston under the influence of the liberal terms you extended to the army of General Lee at Appomattox Court-House on the 9th, and the seeming policy of our Government, as evinced by the call of the Virginia Legislature and Governor back to Richmond, under yours and President Lincoln’s very eyes. It now appears this last act was done without any consultation with you or any knowledge of Mr. Lincoln, but rather in opposition to a previous policy well considered. I have not the least desire to interfere in the civil policy of our Government, but would shun it as something not to my liking; but occasions do arise when a prompt seizure of results is forced on military commanders not in immediate communication with the proper authority. It is probable that the terms signed by General Johnston and myself were not clear enough on the point, well understood between us, that our negotiations did not apply to any parties outside the officers and men of the Confederate armies, which could easily have been remedied. No surrender of any army not actually at the mercy of an antagonist was ever made without “terms,” and these always define the military status of the surrendered. Thus you stipulated that the officers and men of Lee’s army should not be molested at their homes so long as they obeyed the laws at the place of their residence. I do not wish to discuss these points involved in our recognition of the State governments in actual existence, but will merely state my conclusions, to await the solution of the future. Such action on our part in no manner recognizes for a moment the so-called Confederate Government, or makes us liable for its debts or acts. We have a right to, use any sort of machinery to produce military results; and it is the commonest thing for military commanders to use the civil governments in actual existence as a means to an end. I do believe we could and can use the present State governments lawfully, constitutionally, and as the very best possible means to produce the object desired, viz., entire and complete submission to the lawful authority of the United States. As to punishment for past crimes, that is for the judiciary, and can in no manner of way be disturbed by our acts; and, so far as I can, I will use my influence that rebels shall suffer all the personal punishment prescribed by law, as also the civil liabilities arising from their past acts. What we now want is the new form of law by which common men may regain the positions of industry, so long disturbed by the war. I now apprehend that the rebel armies will disperse; and, instead of dealing with six or seven States, we will have to deal with numberless bands of desperadoes, headed by such men as Mosby, Forrest, Red Jackson, and others, who know not and care not for danger and its consequences. First, General Groves is the biggest S.O.B. I have ever worked for. He is most demanding. He is most critical. He is always a driver, never a praiser. He is abrasive and sarcastic. He disregards all normal organizational channels. He is extremely intelligent. He has the guts to make difficult, timely decisions. He is the most egotistical man I know. He knows he is right and so sticks by his decision. He abounds with energy and expects everyone to work as hard or even harder than he does. Although he gave me great responsibility and adequate authority to carry out his mission-type orders, he constantly meddled with my subordinates. However, to compensate for that he had a small staff, which meant that we were not subject to the usual staff-type heckling. He ruthlessly protected the overall project from other government agency interference, which made my task easier. He seldom accepted other agency cooperation and then only on his own terms. During the war and since I have had the opportunity to meet many of our most outstanding leaders in the Army, Navy and Air Force as well as many of our outstanding scientific, engineering and industrial leaders. And in summary, if I had to do my part of the atomic bomb project over again and had the privilege of picking my boss I would pick General Groves. The modern world has a plethora of talkers who are ever content to spare the feelings of subordinates. We could use a few more, well, I guess the proper blunt term is “bastards”, like Groves who can be depended to get very large jobs done. To the People of the Confederate States of America. Danville, Va., April 4, 1865. The General in Chief of our Army has found it necessary to make such movements of the troops as to uncover the capital and thus involve the withdrawal of the Government from the city of Richmond. It would be unwise, even were it possible, to conceal the great moral as well as material injury to our cause that must result from the occupation of Richmond by the enemy. It is equally unwise and unworthy of us, as patriots engaged in a most sacred cause, to allow our energies to falter, our spirits to grow faint, or our efforts to become relaxed under reverses, however calamitous. While it has been to us a source of national pride that for four years of unequaled warfare we have been able, in close proximity to the center of the enemy’s power, to maintain the seat of our chosen Government free from the pollution of his presence; while the memories of the heroic dead who have freely given their lives to its defense must ever remain enshrined in our hearts; while the preservation of the capital, which is usually regarded as the evidency to mankind of separate national existence, was an object very dear to us, it is also true, and should not be forgotten, that the loss which we have suffered is not without compensation. For many months the largest and finest army of the Confederacy, under the command of a leader whose presence inspires equal confidence in the troops and the people, has been greatly trammeled by the necessity of keeping constant watch over the approaches to the capital, and has thus been forced to forego more than one opportunity for promising enterprise. The hopes and confidence of the enemy have been constantly excited by the belief that their possession of Richmond would be the signal for our submission to their rule, and relieve them from the burden of war, as their failing resources admonish them it must be abandoned if not speedily brought to a successful close. It is for us, my countrymen, to show by our bearing under reverses how wretched has been the self-deception of those who have believed us less able to endure misfortune with fortitude than to encounter danger with courage. We have now entered upon a new phase of a struggle the memory of which is to endure for all ages and to shed an increasing luster upon our country. Relieved from the necessity of guarding cities and particular points, important but not vital to our defense, with an army free to move from point to point and strike in detail the detachments and garrisons of the enemy, operating on the interior of our own country, where supplies are more accessible, and where the foe will be far removed from his own base and cut off from all succor in case of reverse, nothing is now needed to render our triumph certain but the exhibition of our own unquenchable resolve. Let us but will it, and we are free; and who, in the light of the past, dare doubt your purpose in the future? Animated by the confidence in your spirit and fortitude, which never yet has failed me, I announce to you, fellow-countrymen, that it is my purpose to maintain your cause with my whole heart and soul; that I will never consent to abandon to the enemy one foot of the soil of any one of the States of the Confederacy; that Virginia, noble State, whose ancient renown has been eclipsed by her still more glorious recent history, whose bosom has been bared to receive the main shock of this war, whose sons and daughters have exhibited heroism so sublime as to render her illustrious in all times to come – that Virginia, with the help of her people, and by the blessing of Providence, shall be held and defended, and no peace ever be made with the infamous invaders of her homes by the sacrifice of any of her rights or territory. If by stress of numbers we should ever be compelled to a temporary withdrawal from her limits, or those of any other border State, again and again will we return, until the baffled and exhausted enemy shall abandon in despair his endless and impossible task of making slaves of a people resolved to be free. Let us not, then, despond, my countrymen; but, relying on the never-failing mercies and protecting care of our God, let us meet the foe with fresh defiance, with unconquered and unconquerable hearts. on April 22, 2015 at 5:30 am Comments Off on Where is Jefferson Davis? IN THE FIELD, RALEIGH, NORTH CAROLINA, April 18, 1865. Lieutenant-General U. S. GRANT, or Major-General HALLECK, Washington, D. C.
GENERAL: I inclose herewith a copy of an agreement made this day between General Joseph E. Johnston and myself, which, if approved by the President of the United States, will produce peace from the Potomac to the Rio Grande. Mr. Breckenridge was present at our conference, in the capacity of major-general, and satisfied me of the ability of General Johnston to carry out to their full extent the terms of this agreement; and if you will get the President to simply indorse the copy, and commission me to carry out the terms, I will follow them to the conclusion. You will observe that it is an absolute submission of the enemy to the lawful authority of the United States, and disperses his armies absolutely; and the point to which I attach most importance is, that the dispersion and disbandment of these armies is done in such a manner as to prevent their breaking up into guerrilla bands. On the other hand, we can retain just as much of an army as we please. I agreed to the mode and manner of the surrender of arms set forth, as it gives the States the means of repressing guerrillas, which we could not expect them to do if we stripped them of all arms. Both Generals Johnston and Breckenridge admitted that slavery was dead, and I could not insist on embracing it in such a paper, because it can be made with the States in detail. I know that all the men of substance South sincerely want peace, and I do not believe they will resort to war again during this century. I have no doubt that they will in the future be perfectly subordinate to the laws of the United States. The moment my action in this matter is approved, I can spare five corps, and will ask for orders to leave General Schofield here with the Tenth Corps, and to march myself with the Fourteenth, Fifteenth, Seventeenth, Twentieth, and Twenty-third Corps via Burkesville and Gordonsville to Frederick or Hagerstown, Maryland, there to be paid and mustered out. The question of finance is now the chief one, and every soldier and officer not needed should be got home at work. I would like to be able to begin the march north by May 1st. I urge, on the part of the President, speedy action, as it is important to get the Confederate armies to their homes as well as our own. 1. The contending armies now in the field to maintain the statu quo until notice is given by the commanding general of any one to its opponent, and reasonable time–say, forty-eight hours–allowed. 2. The Confederate armies now in existence to be disbanded and conducted to their several State capitals, there to deposit their arms and public property in the State Arsenal; and each officer and man to execute and file an agreement to cease from acts of war, and to abide the action of the State and Federal authority. The number of arms and munitions of war to be reported to the Chief of Ordnance at Washington City, subject to the future action of the Congress of the United States, and, in the mean time, to be needed solely to maintain peace and order within the borders of the States respectively. 3. The recognition, by the Executive of the United States, of the several State governments, on their officers and Legislatures taking the oaths prescribed by the Constitution of the United States, and, where conflicting State governments have resulted from the war, the legitimacy of all shall be submitted to the Supreme Court of the United States. 4. The reestablishment of all the Federal Courts in the several States, with powers as defined by the Constitution of the United States and of the States respectively. 5. The people and inhabitants of all the States to be guaranteed, so far as the Executive can, their political rights and franchises, as well as their rights of personal property, as defined by the Constitution of the United States and of the States respectively. 6. The Executive authority of the Government of the United States not to disturb any of the people by reason of the late war, so long as they live in peace and quiet, abstain from acts of armed hostility, and obey the laws in existence at the place of their residence. 7. In general terms–the war to cease; a general amnesty, so far as the Executive of the United States can command, on condition of the disbandment of the Confederate armies, the distribution of the arms, and the resumption of peaceful pursuits by the officers and men hitherto composing said armies. Not being fully empowered by our respective principals to fulfill these terms, we individually and officially pledge ourselves to promptly obtain the necessary authority, and to carry out the above programme. 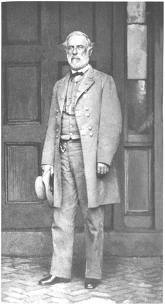 W. T. SHERMAN, Major-General, Commanding Army of the United States in North Carolina. Commanding Confederate States Army in North Carolina. 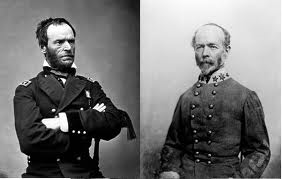 The memorandum or basis agreed upon between General Sherman and General Johnston having been submitted to the President, they are disapproved. You will give notice of the disapproval to General Sherman, and direct him to resume hostilities at the earliest moment. The instructions given to you by the late President, Abraham Lincoln, on the 3d of March, by my telegraph of that date, addressed to you, express substantially the views of President Andrew Johnson, and will be observed by General Sherman. A copy is herewith appended. The President desires that you proceed immediately to the headquarters of Major-General Sherman, and direct operations against the enemy. The apprehensions I expressed during the winter, of the moral [sic] condition of the Army of Northern Virginia, have been realized. The operations which occurred while the troops were in the entrenchments in front of Richmond and Petersburg were not marked by the boldness and decision which formerly characterized them. Except in particular instances, they were feeble; and a want of confidence seemed to possess officers and men. This condition, I think, was produced by the state of feeling in the country, and the communications received by the men from their homes, urging their return and the abandonment of the field. The movement of the enemy on the 30th March to Dinwiddie Court House was consequently not as strongly met as similar ones had been. Advantages were gained by him which discouraged the troops, so that on the morning of the 2d April, when our lines between the Appomattox and Hatcher’s Run were assaulted, the resistance was not effectual: several points were penetrated and large captures made. At the commencement of the withdrawal of the army from the lines on the night of the 2d, it began to disintegrate, and straggling from the ranks increased up to the surrender on the 9th. On that day, as previously reported, there were only seven thousand eight hundred and ninety-two (7892) effective infantry. During the night, when the surrender became known, more than ten thousand men came in, as reported to me by the Chief Commissary of the Army. During the succeeding days stragglers continued to give themselves up, so that on the 12th April, according to the rolls of those paroled, twenty-six thousand and eighteen (26,018) officers and men had surrendered. 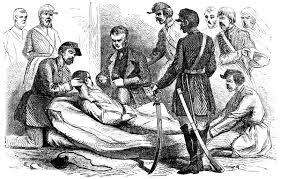 Men who had left the ranks on the march, and crossed James River, returned and gave themselves up, and many have since come to Richmond and surrendered. I have given these details that Your Excellency might know the state of feeling which existed in the army, and judge of that in the country. From what I have seen and learned, I believe an army cannot be organized or supported in Virginia, and as far as I know the condition of affairs, the country east of the Mississippi is morally and physically unable to maintain the contest unaided with any hope of ultimate success. A partisan war may be continued, and hostilities protracted, causing individual suffering and the devastation of the country, but I see no prospect by that means of achieving a separate independence. It is for Your Excellency to decide, should you agree with me in opinion, what is proper to be done. To save useless effusion of blood, I would recommend measures be taken for suspension of hostilities and the restoration of peace. AS WE STAND HERE TODAY, MOURNERS AROUND THIS COFFIN AND AROUND THE LIFELESS REMAINS OF OUR BELOVED CHIEF MAGISTRATE, WE RECOGNIZE AND WE ADORE THE SOVEREIGNTY OF GOD. His throne is in the heavens, and His kingdom ruleth over all. He hath done, and He hath permitted to be done, whatsoever He pleased. “Clouds and darkness are round about Him; righteousness and judgment are the habitation of His throne.” His way is in the sea, and His path in the great waters, and His footsteps are not known. “Canst thou by searching find out God? Canst thou find out the Almighty unto perfection? It is as high as heaven; what canst thou do? Deeper than hell; what canst thou know? The measure thereof is longer than the earth, and broader than the sea. If He cut off, and shut up, or gather together, then who can hinder Him? For He knoweth vain men; he seeth wickedness also; will He not then consider it?”–We bow before His infinite majesty. We bow, we weep, we worship. It was a cruel, cruel hand, that dark hand of the assassin, which smote our honored, wise, and noble President, and filled the land with sorrow. But above and beyond that hand there is another which we must see and acknowledge. It is the chastening hand of a wise and a faithful Father. He gives us this bitter cup. And the cup that our Father hath given us, shall we not drink it?